North London Rly second class coach, Haverthwaite, 1 August 1976. Built at Bow, date and number unknown, and subsequently migrated to west Cumberland. 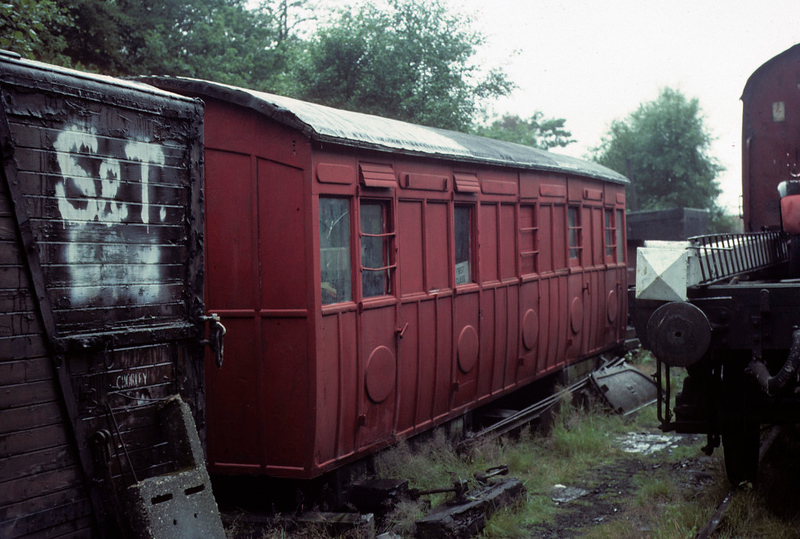 It ended as a grounded body at Ulverston before moving to Haverthwaite, where it is seen in this Les Tindall photo before restoration.